New York Latin jazz pianist Edgar Pantoja has been around Cuban music his entire life. Originally from Santiago de Cuba, he first felt fascinated with music at a young age, playing the trumpet and consuming both American jazz and traditional Cuban music. For the past 20 years, he’s been entrenched in Cuban music, with his distinct — and certainly jazzy — take on the genre. As a pianist, he’s played with many of the greats, including Rubén Blades, Angelique Kidjo, and Pedrito Martinez. His original style takes the various subgenres of Cuban music (folk, son, timba, rumba) and marries it with the likes of jazz, funk, and samba. He’s proud to bring his latest group — a true tribute to his Cuban heritage — to Freight & Salvage. 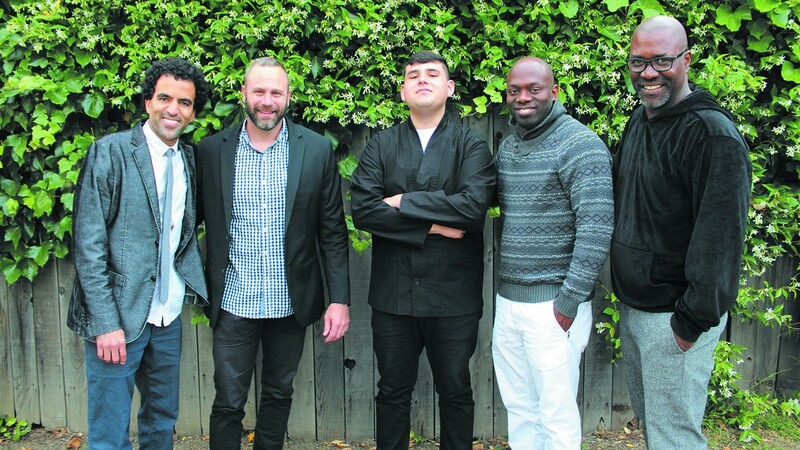 He’ll be accompanied by Colin Douglas (drums), David Lechuga-Espadas (guitar), Ernesto Mazar Kindelán (bass), Felix Samuel (vocals), and Carlitos Medrano (percussion).